Dry mustard, otherwise known as English mustard, is a powdered spice made from the seeds of the mustard plant. It is used to season sauces, dressings, salads, spice rubs and entrees. 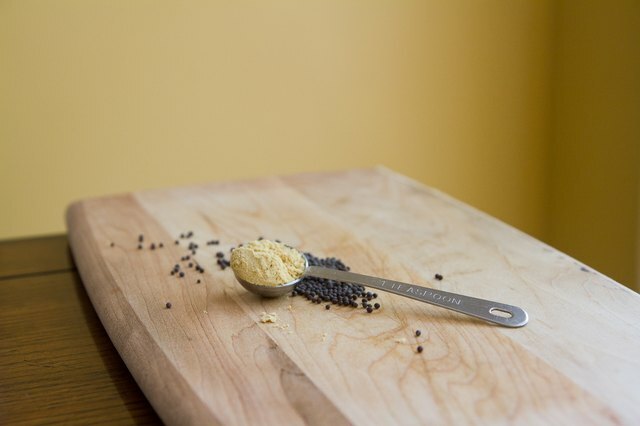 Dry mustard is usually made from brown and white mustard seeds. It lacks the yellow color of prepared mustard, which comes from the addition of turmeric. Substitutes include mustard seeds, prepared mustard, wasabi powder and horseradish. Dry mustard is used to add heat and pungency to dishes; to emulsify sauces and dressings; and to create prepared or "wet" mustards. Finding the right substitute for dry mustard depends upon the kind of dish you are preparing. For instance, if making a salad dressing, substituting prepared mustard is more appropriate, but if you are compounding a spice rub, powdered wasabi or horseradish will probably serve you better. 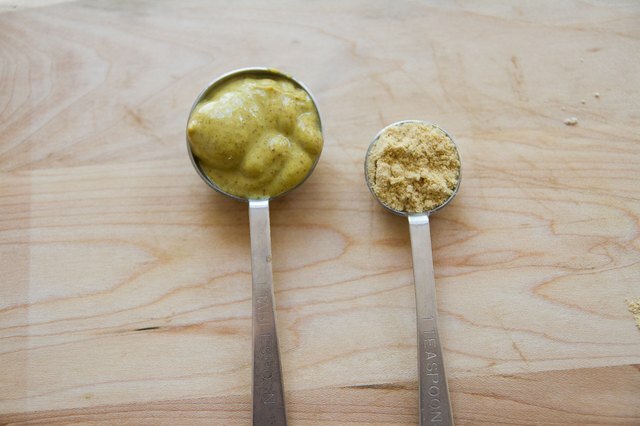 Think carefully about the part dry mustard is supposed to play in your recipe before choosing a substitute. If you have mustard seeds on hand, you can choose to create dry mustard yourself with a mustard see substitute. All you have to do is simply grind the mustard seeds in a clean coffee or spice grinder. If you don't have the time or inclination to do this, you can crush the mustard seeds in a mortar and pestle or with the back of a spoon. Crushed mustard seeds can be substituted for dry mustard in some salads, stews and spice rubs. However, they cannot be used to emulsify sauces and dressings. 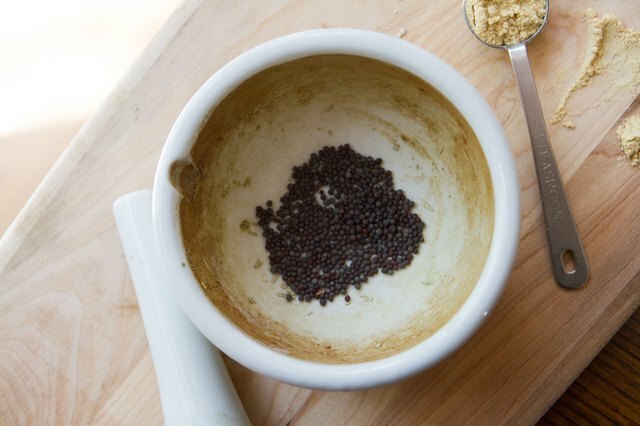 Use roughly half as much mustard seed as you would dry mustard. Prepared mustard is also a good substitute for ground mustard. The general ratio used is one tablespoon of prepared mustard for one teaspoon of dry mustard. Dijon mustards are preferable for this purpose to yellow mustards, because their flavor is closer to that of dry mustard. 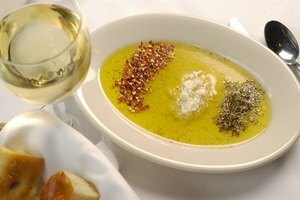 Prepared mustard can be substituted for dry in sauces and dressings but should be used with caution in other applications. Wasabi powder is a great mustard powder substitute––they are of similar consistencies, and the wasabi and mustard plants are close relatives. 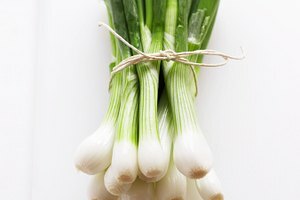 Some cooks even prefer adding wasabi in place of dry mustard because it can give conventional condiments like mayonnaise and vinaigrette extra zip. However, wasabi powder is a bit hotter than dry mustard, so take care when substituting to use it smaller quantities than your recipe calls for. Horseradish is another excellent substitute for dry mustard. Like wasabi (which is actually a type of Japanese horseradish), it is a relative of the mustard plant and is available in powdered form. Horseradish is slightly hotter and slightly more sour than dry mustard. Take these factors into account when substituting horseradish powder for dry mustard. It is also recommended that you use horseradish powder as a substitute in cold dishes, rather than in hot ones. 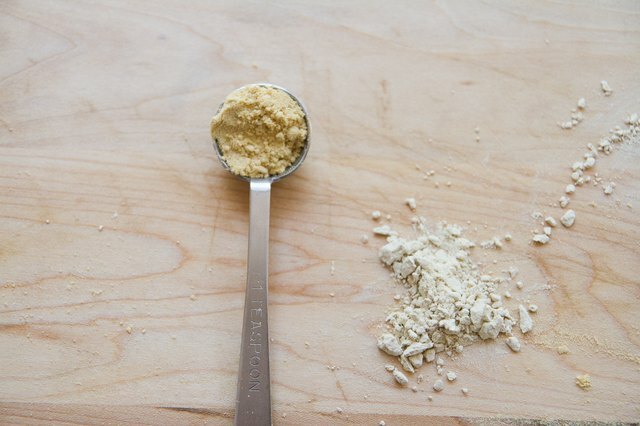 This is because horseradish powder can lose its spice if it is exposed to heat. 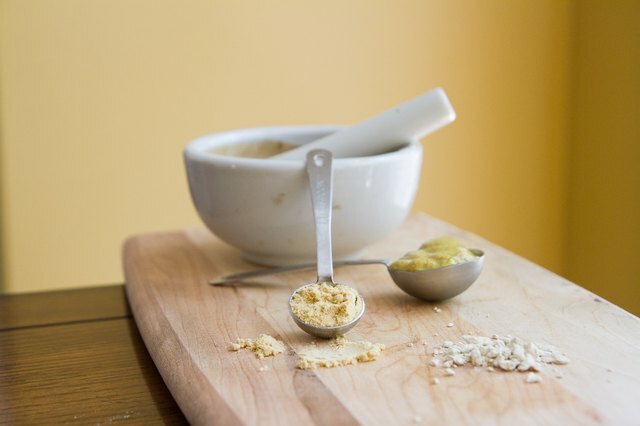 If you are cooking a spicy dish, horseradish powder may not give you the kick you desire. Prepared or "wet" horseradish is not a good substitute for dry mustard, as it consists of vinegar mixed with grated horseradish root, and so its flavor is very different from that of dry mustard. Emily Maggrett has been writing for more than eight years. Her fiction has appeared in "Jeopardy" and "Rivet" and her journalism has appeared in "The Cascadia Weekly" and "The Western Front." Maggrett holds a Bachelor of Arts in English literature from Western Washington University.